It is all too easy to let Newcastle United’s paralysis in the transfer market drag you down into total doom and gloom. 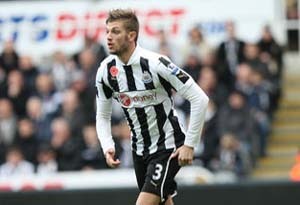 However, while we wait to hear where players such as Papiss Cisse and Yohan Cabaye will be come September, with one of our best players there is no doubt. Despite countless attempts by the Italian press and AC Milan to unsettle Davide Santon, it looks as though at last they are conceding defeat. “I love Newcastle and on the 31st May I had my daughter here, spending the whole summer in England apart from one week in Italy. This is my home now and my family is here, I can’t wait to start the new season.